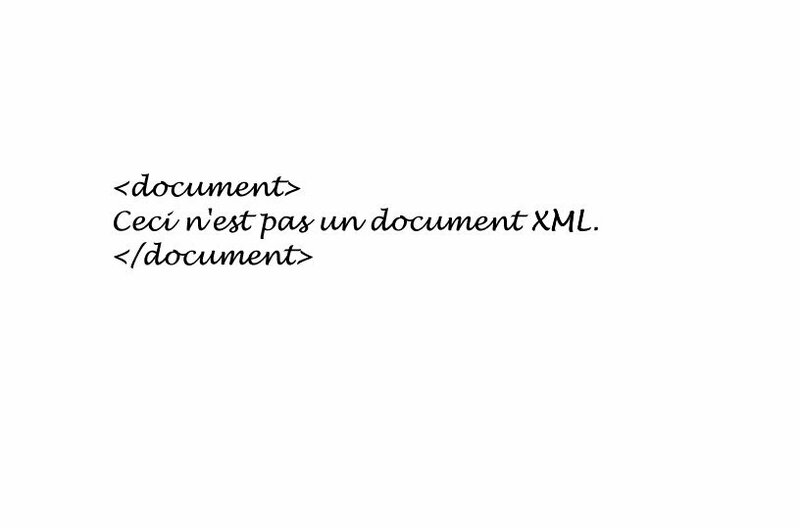 Bob DuCharme: rdf, xml etc. I wrote a lot about XML and RDF for various publications back when there were publications that would pay for it. Now I mostly just write for my blog. 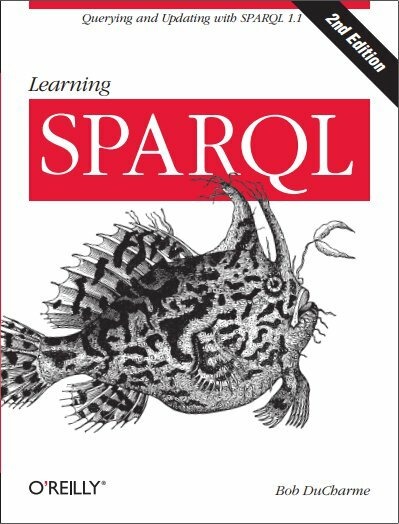 My most recent book is Learning SPARQL from O'Reilly Media. It introduces the reader to the W3C standard for querying Linked Data and the semantic web. In March 2015 IBM Data Magazine published my piece Spark is the New Black. In August 2014 I gave the talk Semantic Web Standards and the Variety "V" of Big Data at the Semantic Technology and Business Conference. Shortly before, Dataversity published the interview Speaker Spotlight: Bob DuCharme on the Semantic Web. In August 2013 semanticweb.com published the interview A Look Into Learning SPARQL With Author Bob DuCharme. At the Semantic Technologies 2012 conference in San Francisco in June, I co-presented with Joseph Busch on "SKOS for Business Vocabulary Management." At the Semantic Technologies 2012 conference in Berlin in February, I spoke on "SPARQL and Application Development." At the Semantic Technologies 2011 conference in Washington D.C. in November, I spoke on Web Forms and SPARQL Queries. At the Semantic Technologies 2011 conference in San Francisco in June, I spoke on Vocabulary management, SKOS, and the semantic web. IBM developerWorks published my article Improve your taxonomy management using the W3C SKOS standard in May of 2011. IBM developerWorks published my article Integrate disparate data sources with Semantic Web technology in September of 2010. IBM developerWorks published my article Simple server-side 2G phone apps in May of 2010. At the Semantic Technologies 2010 conference, I spoke on the topic Semantic Web Technology and the Publishing World: What Can They Offer Each Other? I wrote the epub plugin for the DITA Open Toolkit to let it output epub electronic books from the same DITA XML source it uses to output other formats. DevX.com published my article Using RDFa with DITA and DocBook in August of 2009. IBM developerWorks published my article Build Wikipedia query forms with semantic technology in July of 2009. DevX published my article Building an Application with the Twitter API in January of 2009. I co-chaired the first ever Linked Data Planet conference in New York City in June of 2008, which featured Sir Tim Berners-Lee and Kingsley Idehen as keynote speakers. DevX published my article Getting Started with the Twitter API in December of 2008. I wrote one of the two forewords (Martin Fowler wrote the other) to Elliotte Rusty Harold's 2008 book Refactoring HTML. XML 2008 presentation: Automating Content Analysis with Trang and Simple XSLT Scripts. DevX published my article Relational Database Integration with RDF/OWL published in July of 2008. In May of 2008 I gave a talk on semantic web technologies, RDF, and OWL at the New Horizons in Teaching and Research conference showcasing technology in teaching, research, and scholarship at the University of Virginia. In January of 2008 IBM developerWorks published my article article Easy command line processing with the DITA Open Toolkit and in February they published my tutorial DITA topic specialization: Analyze your content and build a specialized DTD. XML 2007 presentation: "XHTML 2 for Publishers: New opportunities for storing interoperable content and metadata." I served on the program committee for the 2007 Workshop on Semantic Web technology for Law. In June of 2007 IBM developerWorks published my article Put XHTML 2 to work now. XML 2006 paper: Relational database integration with RDF/OWL. I published XSLT Quickly with Manning Publications. It's a guide to learning the most important parts of XSLT and putting them to use with minimal time and effort. Papers that accompanied my presentations at XML 2005 in Atlanta: Automated mass production of XSLT stylesheets and Your schema and the industry-standard schema. I work at CCRi, a research company specializing in machine learning and analytics (especially geospatial analytics) in Charlottesville. In the April 2005 issue of Dr. Dobb's Journal, I wrote an article titled RDF: Store Metadata About Anything, Anywhere. I made several contribution's to O'Reilly's XML Hacks book. From June of 2000 to September of 2005, I wrote the "Transforming XML" column about XSLT techniques for XML.com. You'll find links to all the articles at this list of "Transforming XML" columns. From April 2003 to November 2005 I did an O'Reilly Network weblog focusing on linking issues titled Thinking About Linking. I maintain the rdfdata.org web site, which lists pointers to larger collections and directories of RDF data on the web. I wrote XML: The Annotated Specification, published by Prentice Hall PTR. You can find out more information and download the complete second chapter from the book's web page. I gave a talk entitled "Converting DTDs (and DTD developers) to RELAX NG Schemas" at XML 2003 in Philadelphia. The paper is available here. at XML 2002 in Baltimore I gave a talk titled "Maintaining Schemas for Pipelined Stages." The paper is available here. The XML FAQ quotes me a few times. IBM developerWorks published my article A Simple SOAP Client (originally entitled "A Simple SOAP Client for XML Geeks") in their May 2001 issue. I wrote Writing a data type-checking XML parser with Xerces for a December 1999 IBM developerWorks. 8/28/01 update: this zip file has a version of the examples updated to work with Xerces Java 1.4.3, which conforms to the Recommendation version of the W3C Schema spec. Xerces 2.0 does not support W3C Schemas yet. See the Xerces Java Schema page for more on Xerces Schema conformance. XML Magazine published my article What XLink Can Do for Your Applications in their Spring 2000 issue. I wrote SGML CD, a tutorial and users' guide to free SGML software that includes a CD of the software covered. The book was published by Prentice Hall PTR; the chapter on Jade and DSSSL was serialized in the May - July 1997 issues of <TAG>: the SGML Newsletter, and you can download an Acrobat version of the complete Emacs/PSGML chapter from the book's web page. I was the XML Correspondent for <TAG>, writing their "XML Beat" column from December 1997 to the end of 1999. The full text of articles are available online. At XML '99 I gave a talk titled "XLink and Publishing Opportunities." At SGML/XML '97, I gave a talk titled "Making Architectural Forms Work for You: Architectural Forms without HyTime" (sample code). As a "consulting author," I wrote material on SDKs and free software in Prentice Hall's "SGML Buyer's Guide." At the SGML '95 conference in Boston, I presented a talk based on the paper entitled "Object-Oriented Development of SGML Applications" that I did as part of my masters degree program at NYU. The conference paper accompanying the presentation was cited in the SGML Technologies Group paper "Object Orientation and SGML: LINK Revealed" (paper no longer available on line; see bibliographic entry under "[CR: 19961226]") and several papers at subsequent conferences. I used to maintain a web page of databases claiming to support SGML. It's very out of date at this point; I recommend Ronald Bourret's more recent XML and Databases. "The elements be kind to thee, and make thy spirits all of comfort!"